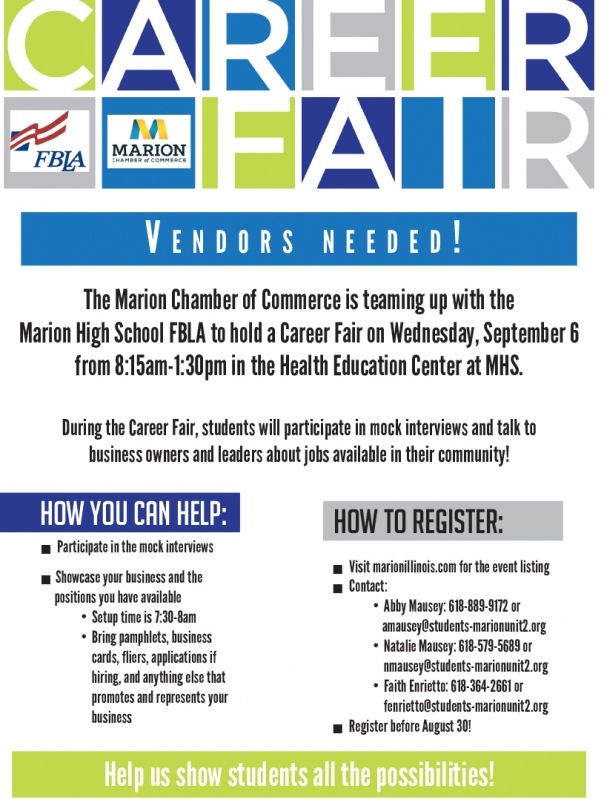 The Marion Chamber of Commerce is teaming up with the Marion High School FBLA to hold a Career Fair on Wednesday, September 6 from 8:15 a.m. - 1:30 p.m. in the Health Education Center at MHS. 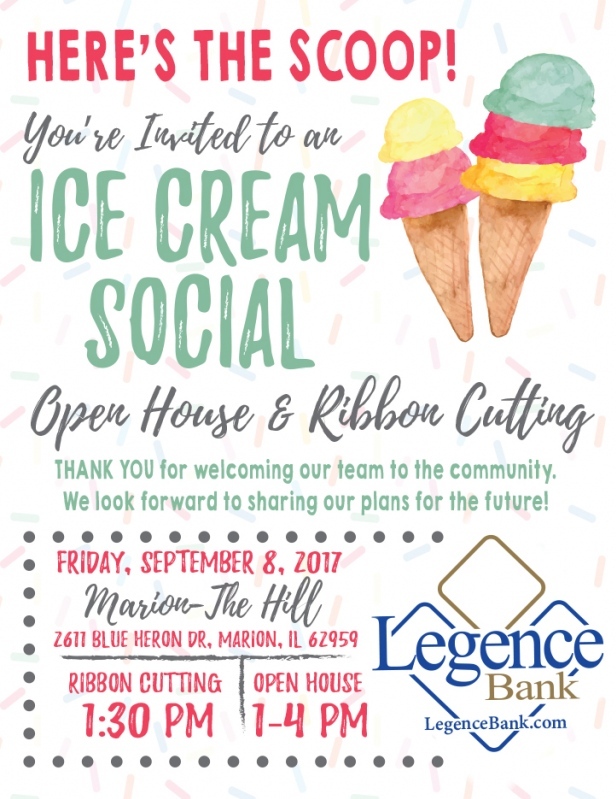 A Ribbon Cutting Ceremony for Legence Bank will be held on Friday, September 8 at 1:30 p.m. at 2611 Blue Heron Drive, Marion. An Open House will be held from 1-4 p.m. The Open House will include an ice cream social. 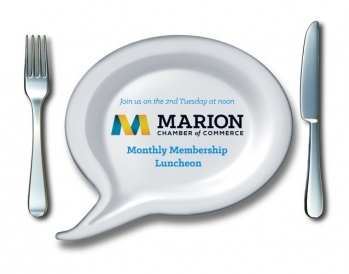 The Marion Chamber of Commerce Monthly Membership Luncheon will be held on Tuesday, September 12 at noon at The Pavilion. Great Boars will be catering. The presenter will be Ruth Anne Rehfeldt, PhD, BCBA-D, director of the Center for Autism Spectrum Disorders at Southern Illinois University Carbondale. 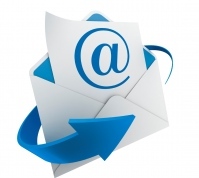 Clearwave Communications is the sponsor of the September Monthly Membership Luncheon. 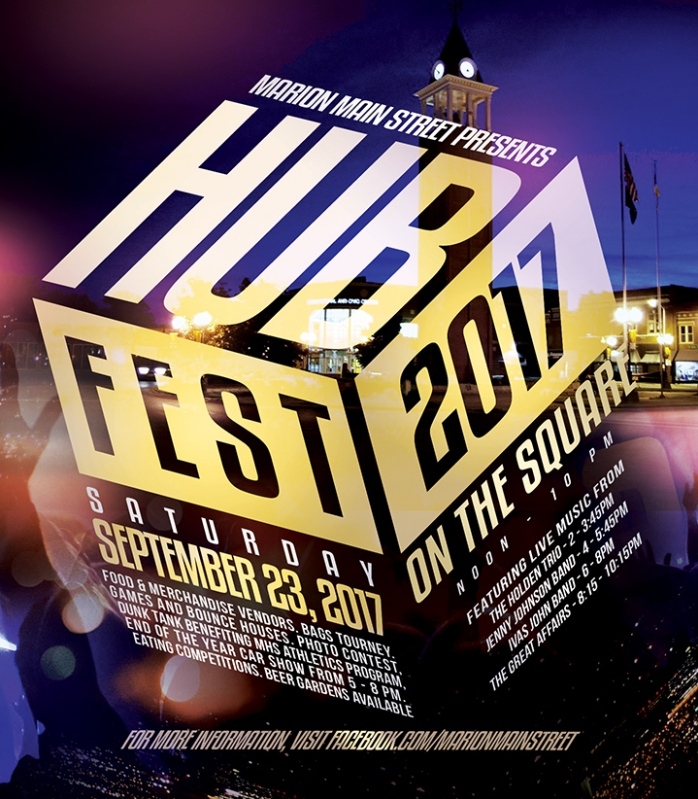 Registration for the event is $12 (payable to the Marion Chamber of Commerce) to those who RSVP prior to noon on September 11. Pre-registration is strongly encouraged. After noon on September 11, the registration fee is $15. Please note that walk-ins will be accepted, however, the walk-in rate is $15. 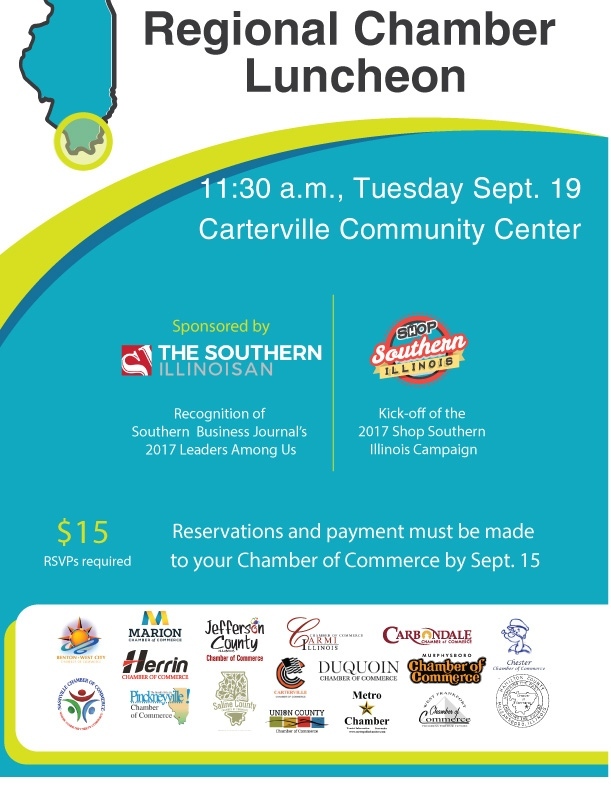 The Southern Illinois Regional Chamber Luncheon will be held on Tuesday, September 19 at 11:30 a.m. at the Carterville Community Center. 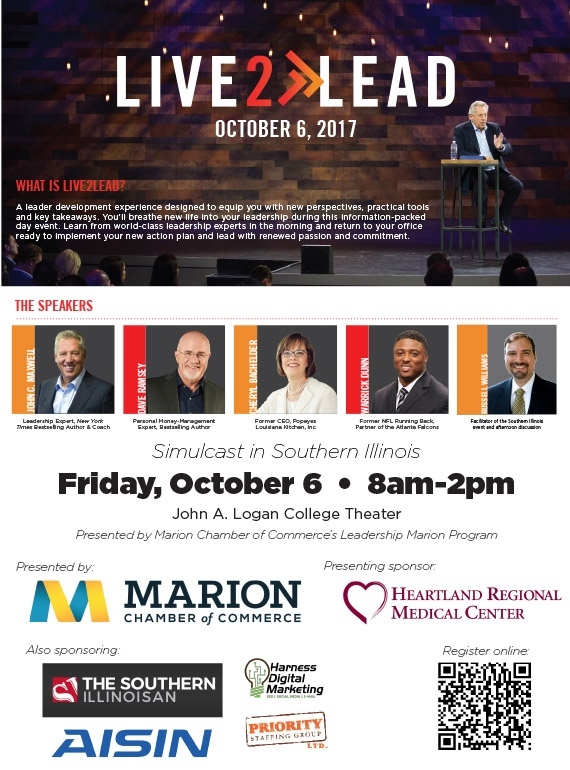 The event will include recognition of Southern Business Journal's 2017 Leaders Among Us, sponsored by The Southern Illinoisan, and the kickoff of the 2017 Shop Southern Illinois Campaign! 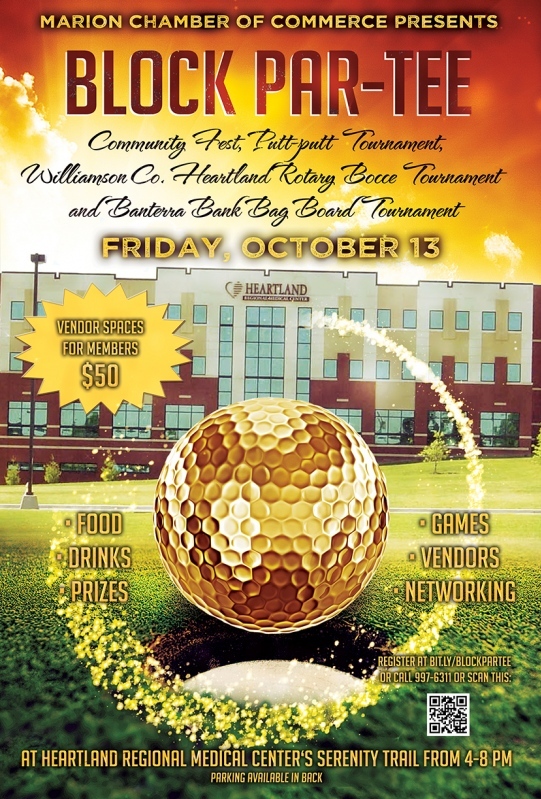 All participants must RSVP to their Chamber prior to September 15. 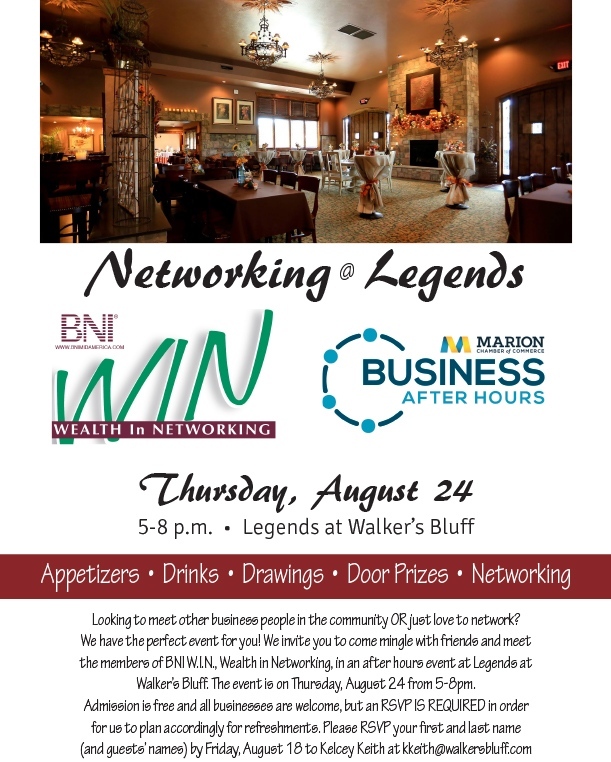 Tickets are $15 each and must be paid to the Chamber you RSVP through prior to the luncheon. Payments cannot be accepted at the door. 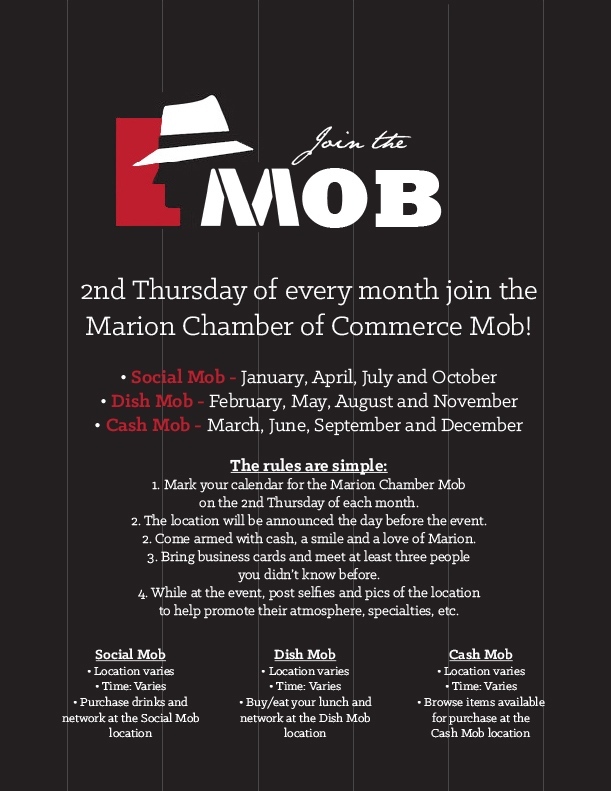 Please RSVP through one Chamber only. How's Your Customer Service? This Is What People Are Saying.